1. Cosmetology ... does it fit? The world of cosmetology is very colorful and provides plenty of opportunity for your creativity to shine. Beauty trends and technologies are constantly evolving and changing, often times in conjunction with seasonal fashion trends. If you like to follow current trends and technologies in the beauty industry and enjoy practicing various techniques on your own, a cosmetology career may be a perfect fit for you! Want to check your skills? Take our cosmetology practice test. 2. What is the average salary of a cosmetologist? As of 2016 the median hourly pay of someone in the cosmetology field was $12.33 according to the Bureau of Labor Statistics. 3. How do I qualify for the right cosmetology school? After much consideration, you’ve decided that a cosmetology career would be a great fit for you. Requirements for beauty school admission may vary per state and/or school. However, most states require those seeking a cosmetology career to be at least 16 years of age. A high school diploma or General Education Development (GED) is also required for consideration into a cosmetology program of your choosing. For more information on admission requirements at your local cosmetology schools, fill out our application with Cosmetology Career Now. A career advisor will contact you directly to walk you through the admissions process. Get started today! 4. Is it time for a career change? It’s never too late to change your career path. Whether you are coming from a desk job or a sales position, a cosmetology career could be the perfect fit. You don’t need previous cosmetology experience to change careers. The right career training, from the right cosmetology school will provide you with the necessary tools and guide you on a new path filled with exciting opportunities in beauty. 5. The right beauty school—what's my perfect fit? Finding the right beautician school can be a daunting task. The perfect fit is different for every student. Programs vary by school, offering a wide variety of options to suit your lifestyle and educational needs. Depending on the cosmetology program you choose, you will have multiple learning options available to you. 6. How long is cosmetology school? For many, one of the biggest perks of cosmetology school is the amount of time it takes to complete a beauty program and get started in a new career. The three factors that will determine how long it will take for completion include the program you take, your state’s licensing requirements, and whether you enroll as a part-time or full-time student. A full cosmetology curriculum is the most comprehensive option and, therefore, requires the most training. Training is anywhere from 1,500 to 2,100 hours, and full-time students may be able to complete it in less than two years. Specialty programs, such as nail technology or esthetics courses, can be completed within six months. 7. What's the bottom line? How much will beauty school cost? Tuition will vary by school and training program. Financial aid and student loan services are available to those who qualify. Our cosmetology career specialists can provide you with further details regarding tuition and assistance. 8. Do I have career options? Yes! As a cosmetologist, there are a variety of educational paths and career opportunities to choose from. From hair and makeup to skin and nails, you can choose a cosmetology career that fits your passion. Cosmetologists typically master one particular skill and focus on building their clientele based on their training and expertise. 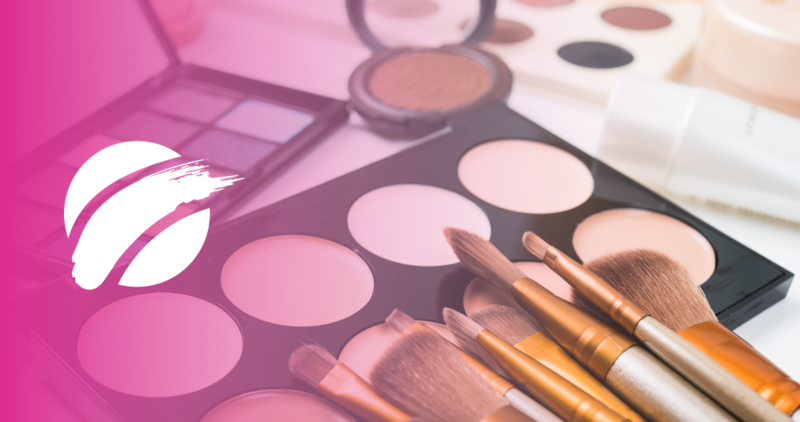 Choose from a list of beauty professions including, hairstylist, makeup artist, nail technician or esthetician, then decide where you want to work. 9. Working with clients—will I get hands-on experience? When you first begin a cosmetology program, you will learn and practice your skills on mannequins. Eventually you will have the opportunity to perform your skills on actual clients under the supervision of your program instructor. Once you graduate from a cosmetology program, you are required to take a written test to assess your knowledge as well as a hands-on test to assess your skill level. Once you pass this test, you will receive your state-approved cosmetology license. It’s a good idea to take this exam soon after completion of your program, while the information is still fresh in your mind. 11. How do I get licensed? Take the test. Prior to the state-approved cosmetology certification exam, you will have a chance to test your knowledge and practice your skills. Most cosmetology curriculums include study skill development and test-taking strategies. You will also take tests periodically to prepare you for a final licensing exam. Cosmetology laws and regulations vary by state. Once you graduate from beauty school, you will want to check the local regulatory agency for cosmetology licensing and testing information within your state. You must register to take the certification exam prior to taking the test; online registration is available in some states. The test will include a written and hands-on evaluation; you must pass both before you can receive your license. After taking the state-approved exam, it will take some time to receive your final grade. If you achieve a passing score, your official cosmetology license will arrive by mail shortly after. Once you receive your license, you will be ready to find a salon that best fits your personality and lifestyle and begin building your client base. 12. Ready to work—How do I get started? You have earned your cosmetology license. Congratulations! Now it’s time to start looking for a salon or spa. Many walk-in salons have open positions; this is a great place to start. Once you perfect your skills, seek a salon or spa that best fits your skill set and personality. You will gain a trusted client following, once you find a salon you can call home. The Cosmetology Career Now Team would like to wish you the best of luck in your cosmetology career! What are you waiting for? Fill out our form now to be connected to local cosmetology programs in your area! Up Next... Online Cosmetology Classes: Should You Try Them?